Well, I was the happiest bunny in the land yesterday when I came home to find an unexpected parcel waiting for me. 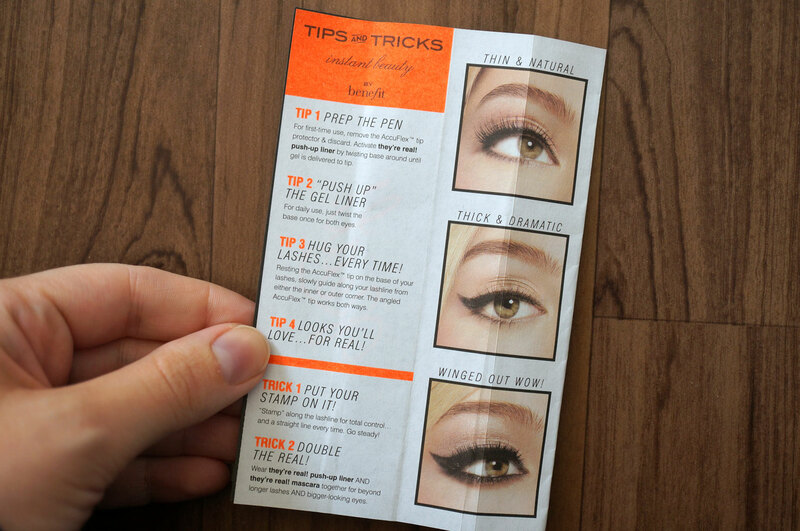 I couldn’t believe my eyes when I opened it to find a Benefit They’re Real Push Up Liner from Lookfantastic! Seriously thank you so much guys! This was the nicest surprise ever! I’ve been checking this eye liner out ever since Benefit started promoting it a fair while ago. Since then I’ve read quite a few reviews, and most of them were positive so I really wanted to give this intriguing new product a go! 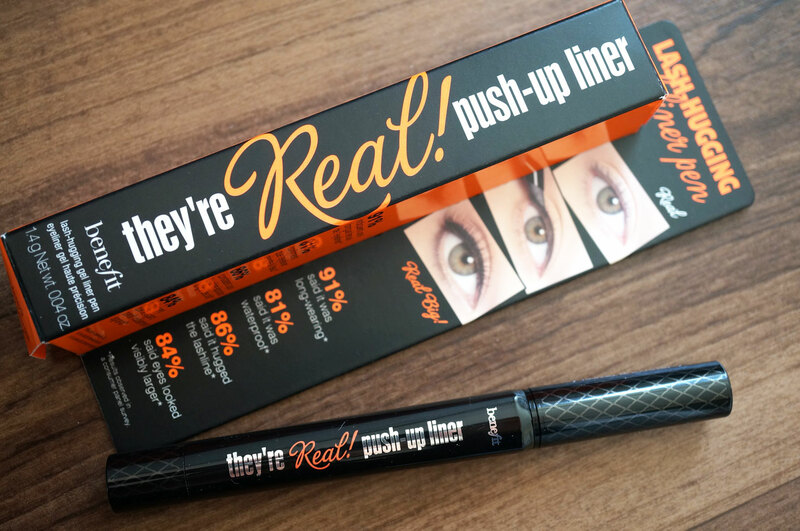 If by some strange reason you haven’t heard of the They’re Real Push Up liner, where have you been? Really?? It’s Benefit’s latest big product launch, and the newest eyeliner on the beauty market. It’s obviously paired with the They’re Real Mascara – which I happen to love. So I have really high hopes for the liner too! 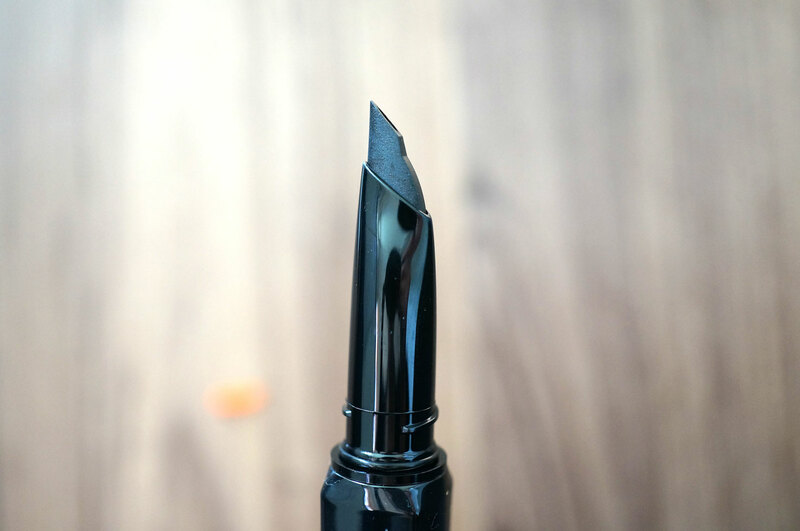 This eye liner is described as ‘the FIRST EVER lash-hugging gel liner in a pen‘ The formula is a matte black gel, that shouldn’t budge or smudge at all. The idea is that the special AccuFlex™ Tip hugs your lashline from corner to corner so the product gets right in to the lash line. It’s pretty easy to use, you just twist the base to push the gel up to the tip, and apply starting from the inner corner of the eye. Simples right? Benefit have also included a handy guide to help you. On first inspection the pen is pretty weird looking! The tip is made of flexible rubber with a fine slit in the top for the gel to come through. 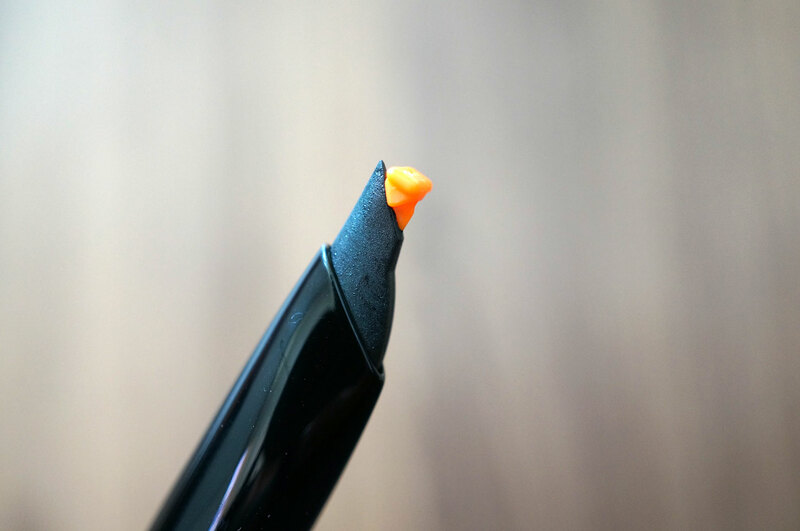 When you first open the pen there’s an orange bung in the end to stop the product from leaking. 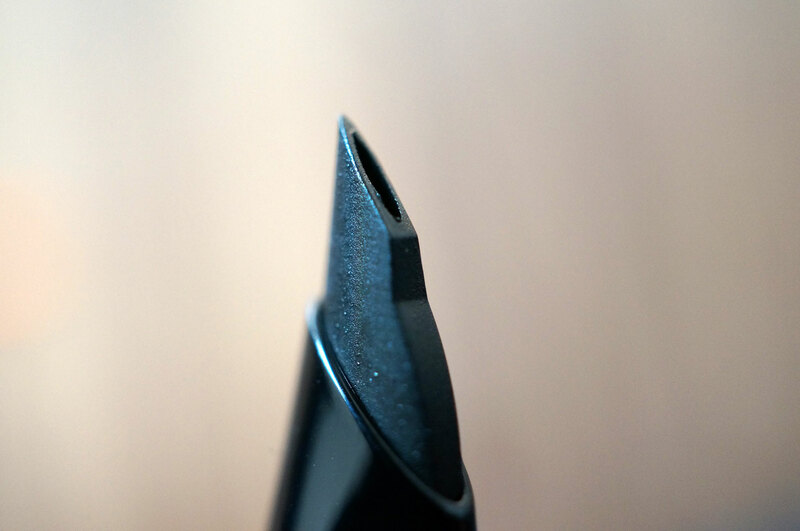 You then just twist the bottom of the pen to make the product come out. 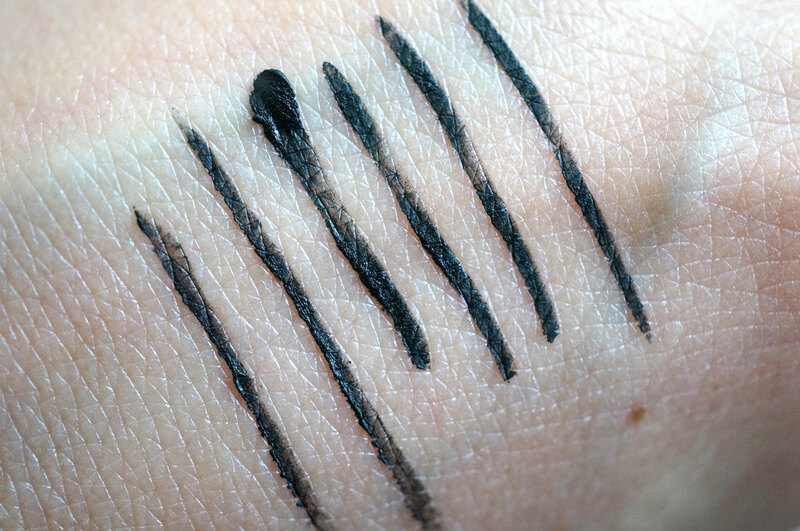 I first swatched this on the back of my hand and found you can get a really fine line. I drew a few lines and when I went to clean my hand it had already dried, I realised then this stuff is pretty tough to remove! When I applied this to my eyes I found it a bit awkward at first, but as soon as I got used to the technique and got the hang of it I was on a roll! I managed a fantastic feline flick on my left eye on my first attempt! But I also managed to smudge my right eye and panicked whilst I rushed to clean the smudge off before it dried! I’ve now been wearing the liner for the majority of the day with no problems, I’ve rubbed my eyes lightly and there was only the slightest transfer. The colour in a deep intense pigmented black, it’s easy to work with and you can very easily create a fantastic flick with a bit of practice! I’m really happy with this product! So what do you think? 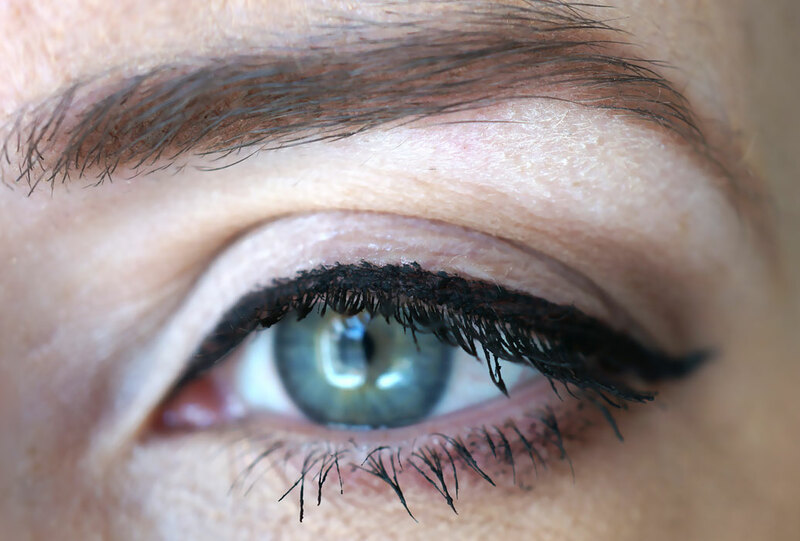 Have you tried this eye liner yet? How does this compare to the stila liquid liner??? I actually went into benefit today to try it and it looks fabulous!